Congratulations! 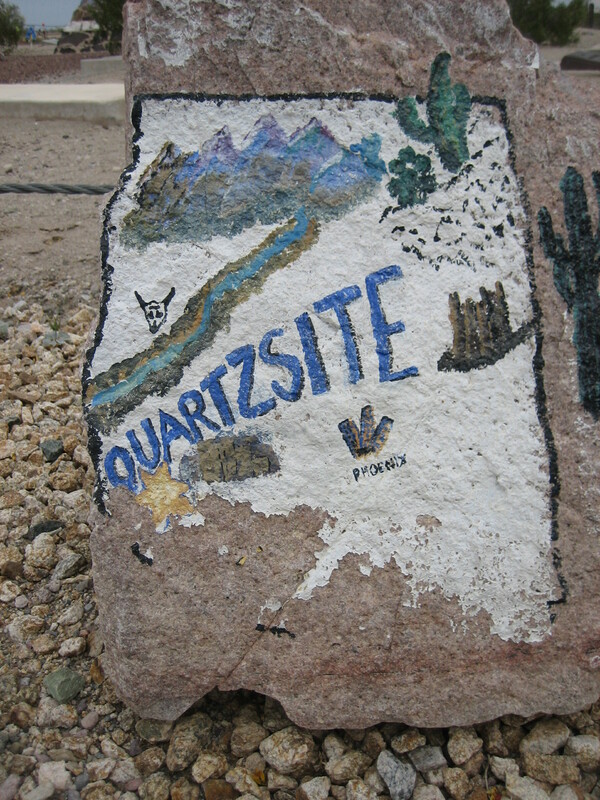 You’ve made it to Quartzsite, AZ. Maybe you’re going to spend weeks or months at one of the BLM Long Term Visitor Areas (LTVAs). Maybe you’re in town for two weeks of fun, learning, and fellowship at the Rubber Tramp Rendezvous (RTR). Maybe you’re going to stay for one night or two weeks at one of the free BLM camping areas on your way to Yuma or Phoenix or Tucson. In any case, you’re in Quartzsite and you need some things. If you still haven’t found what you’re looking for, refer this handy list and let the Rubber Tramp Artist (a six-time visitor to Quartzsite) help you find what you need while you’re in town. 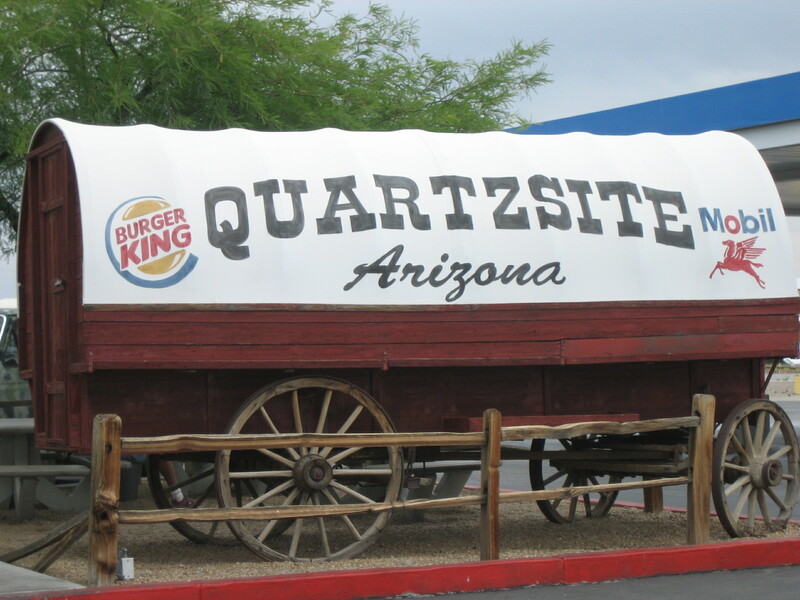 Quartzsite has two main grocery stores, the Roadrunner Market (200 E. Main) and Coyote Fresh Food (410 E Main). Both sell ice and fresh produce and both charge small-town prices. Family Dollar (470 E. Main) and Dollar General (925 W. Main) also sell food, mostly prepackaged items, but also dairy and maybe eggs. Ice can also be found at most of the town’s gas stations, including the Love’s (760 S. Quartzsite Ave.) and Pilot (1201 W. Main). Big Market (775 W. Main) also sells food. I have only been in the store once and was not impressed. The people who wrote reviews of this place on Yelp didn’t seem too impressed either. I think Big Market is more of a place to buy alcohol and firewood than food, but I would be glad to hear about positive experiences readers had here. If you don’t mind buying packaged food that is recently (or not-so-recently) expired, check out the temporary “scratch and dent” food stores in town. Housed in tents, they sell everything from breakfast cereal in torn boxes, beans in dented cans, and expired everything. There’s usually one in the shopping area near the main post office, but I like the one closest to the Big Tent because their prices are low. If you’re hungry in the mornings, go down to La Mesa RV to get free pancakes and coffee. La Mesa RV (at the corner of Main and Central) is in the business of selling (you guessed it!) recreational vehicles. A marketing ploy the company uses to get people on their Quartzsite lot is a free pancake breakfast six mornings a week (Monday through Saturday) from 8am to 10am. The first time one arrives for breakfast, one must go up to the counter and fill out a card. The card has blanks for one’s name, mailing address, phone number, and email address. (I’ve never provided my phone number or email address and was never challenged about my omissions.) After the blanks are filled in, a woman working the counter writes one’s name on a nametag and hands it over. The nametag lasts all season, and one is required to wear it whenever one wants to eat breakfast. If you’re poor and you need food, there’s no shame in visiting one of Quartzsite’s two food banks, the People’s Food Bank at the Isaiah 58 Project (100 S. Moon Mountain Avenue) and the Quartzsite Food Bank (40 N. Moon Mountain Avenue). I’ve been treated with respect and compassion at both of these food banks. The Quartzsite Food Bank is open Tuesday and Thursday from 8am to noon. This food bank is run by a private nonprofit organization called Friends of the Quartzsite Food Bank. A representative of the organization asked me to let readers know the group accepts all donations of money or food to help them keep the doors open so they can feed hungry people. The last time I was in Quartzsite, there were water filling stations throughout town. There was a Glacier Water refill station in front of the Family Dollar and another one in front of Big Market. There was a water filling station that didn’t seem to be affiliated with any national brand near the gas station adjacent to the Burger King. RV Pit Stop (425 N. Central Blvd.) has filling stations for filtered and reverse osmosis water. Most of these water filling stations in Quartzsite charge 20 or 25 cents per gallon. When I wrote this post (11-19-18), the RV Pit Stop website was advertising propane refills for $2.30 per gallon + tax. I bought propane there the last time I was in town and was satisfied with the service. Rose RV Park (600 E. Kuehn St. ) also advertises propane refills. Google shows Pattie’s Propane (455 E. Main St.) as a propane supplier in Quartzsite, and while I’ve passed by, I’ve never gotten a refill there. While looking for information on laundromats in Quartzsite, I also found a listing for Fill-R-Up & Corner Laundromat (10 N. Central); propane is what they “fill-r-up” with. If you’d rather do a propane tank exchange through Blue Rhino, the company propane finder page says you can do that at Big Market, RV Pit Stop, and at the Arco gas station (185 N. Riggles Avenue). If you want to find reading material and possibly see a nudist, Reader’s Oasis Books is the place for you. 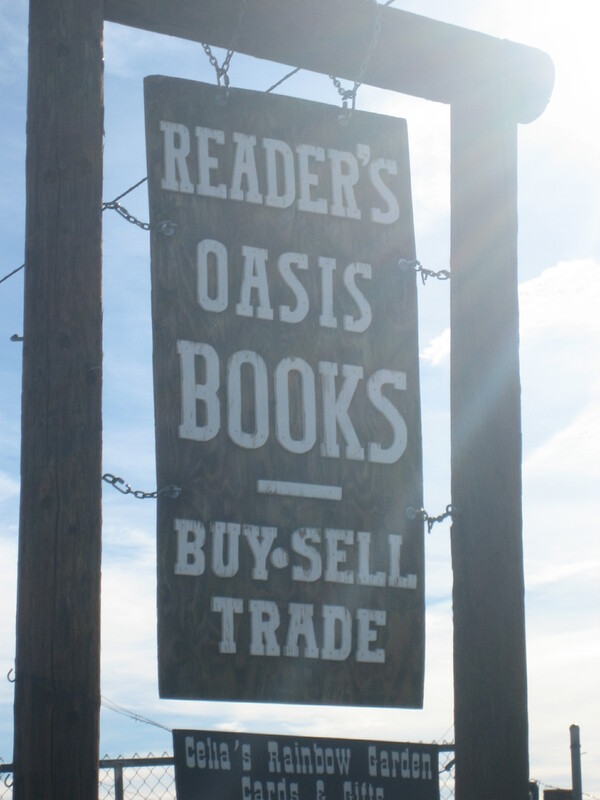 Owned by naturist Paul Winer, Reader’s Oasis (690 E. Main) is huge and stuffed full of books and handwritten signs and pictures and shiny rocks and memorabilia. There is a lot to see in that store. The selection is broad, from 3 for $1 romance novels to military history to old-school children’s books to cookbooks to books on religion to books pertaining specifically to the Southwest. The bookmark I ended up buying (featuring a photo of Paul with his thumb up and sporting a big beard and shades; wearing multiple turquoise necklaces, a straw hat, and a bit of cloth over his privates) boasts over 180,000 titles, and I believe it. If you buy nothing else, splurge on a bookmark with Paul’s picture on it; otherwise the folks back home may never believe you. The other place for books in Quartzsite is the public library (465 Plymouth Road). The library’s website says that folks who aren’t residents of Quartzsite can get a library card by presenting their photo ID. Using the library’s books, audio tapes, computers, videos and magazines is free. The public library is also THE place in town to find public access computers with internet capabilities. You can bring your own laptop or tablet into the library and try to use their WiFi, but I’ve found that an exercise in frustration. In my experience, WiFi in the entire town of Quartzsite is slow, slow, slow, and it’s no different at the public library. Forget about plugging your electronics in at the library to charge. A friend of mine did that a few years ago and told me a library worker accused him of stealing electricity. Wowza! 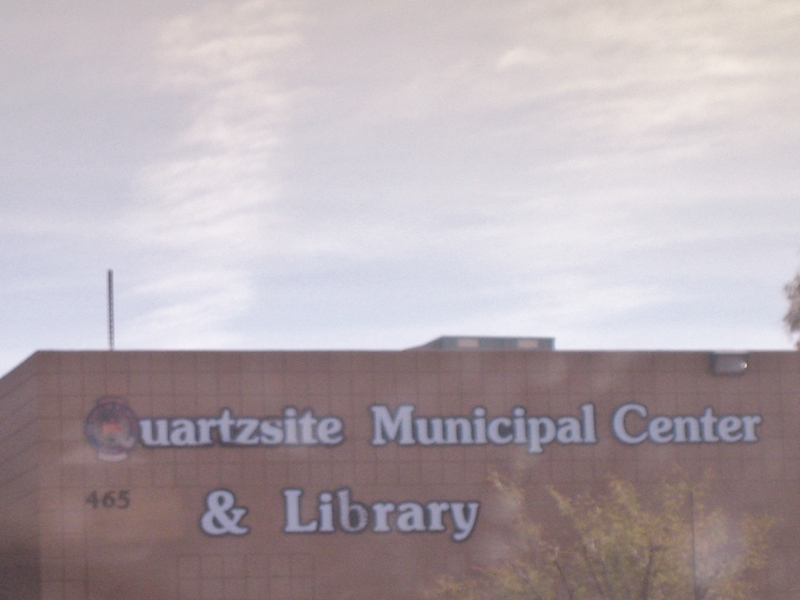 The Quartzsite Public Library is open Monday-Friday 8am-5pm. It is closed Saturday, Sunday, & holidays. You can get your mail at the Quartzsite post office (80 W. Main), but unless you rent a box there (and I don’t even know if that’s possible if you don’t live in the town), it’s going to be a huge pain in the neck. You can have your mail delivered via general delivery, but that mail can only be picked up on weekdays and only during specific hours. People arrive and get in line long before they can actually pick up their general delivery mail because when the pickup time is over, it’s OVER, no matter how many people are still standing in line. An online review of the post office in Quartzsite says, “[g]eneral delivery must be preapproved or they will return to sender immediately. Pickups can only be done from 12 to 1.” I’m not sure those two assertions are true; I’ve never heard the first one, and I thought general delivery pickup was from 11am to 1pm. If I were going to try to get my mail via general delivery in Quartzsite, I would call the post office (928-927-6323) and get all the details before I told anyone to send me mail that way. If I were going to receive mail in Quartzsite, I would much rather do so through Quiet Times (90 E. Main). In 2017, I had 100 copies of my book Confessions of a Work Camper: Tales from the Woods delivered to Quiet Times. I called ahead (928-927-8081) and was told exactly what address to use to make sure my packages got to the right place. For a very reasonable price (I think it was $10), Quiet Times received two (or was it three?) large boxes and held them for me until I could pick them up. I’m not certain if Quiet Times receives mail sent through the USPS or only items sent through FedEx and UPS. I suggest you call now before Quartzsite turns into an absolute circus and find out if they provide the service you need, and if so, exactly what address you should give to people sending you mail. The folks who work at Quiet Times are very nice and patient and will be glad to give you all the necessary information. On the day this post was originally published, I learned about another option for receiving mail in Quartzsite. A couple people in a Facebook group I’m in mentioned BCM Mail and Ship (852 W Cowell Street), which is apparently behind the senior center. One of the people who gets her mail there says customers pay a flat rate for the month, and there is no additional charge for receiving packages. Unfortunately, none of the links to BCM’s website worked for me, so all I can tell you is that the phone number for the business as listed by Google is 928-927-4213. If you’re staying on BLM land for a few weeks and don’t have a shower set up in your rig, there are several places in Quartzsite where you can clean up. Both the Love’s and the Pilot truck stops have shower facilities, but you’re going to pay premium prices. On the upside, I’ve read that it’s ok for a couple to ask for a team shower and use one shower room at no additional charge. Also, I’ve never been hurried while showering at a truck stop or told I could use the facilities only for a limited time. 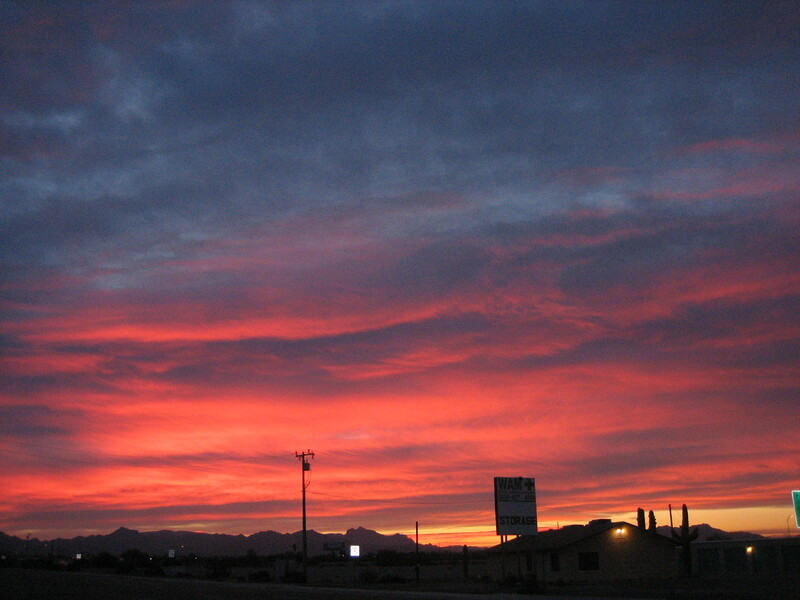 Your next option for cleaning yourself in Quartzsite is Main Street Laundromat & Showers (205 E. Main Street). I did my laundry there once, but I’ve never taken a shower at this location. A Google review from 10 months ago says a 20 minute shower costs $8 there, which is what I remember hearing at the last couple RTRs. I’ve also heard a worker does keep track of how long each customer has been in the shower room and will knock on the door after 20 minutes. The third option for a shower in Quartzsite is a free one at the Isaiah 58 Project. I have taken showers there on several occasions.The last time I was in town, the showers were only available on weekday mornings from 9am until noon and were limited to 10 minutes per person. I’ve always encountered a line of people waiting to shower when I’ve gone first thing in the morning, but friends who’ve gone later in the morning have reported finding no line. The water is hot and the price is right, and in the past they’d even loan each person a towel if necessary. I definitely appreciate being about to take a shower for free, although I wish we could go 15 minutes instead of just 10. 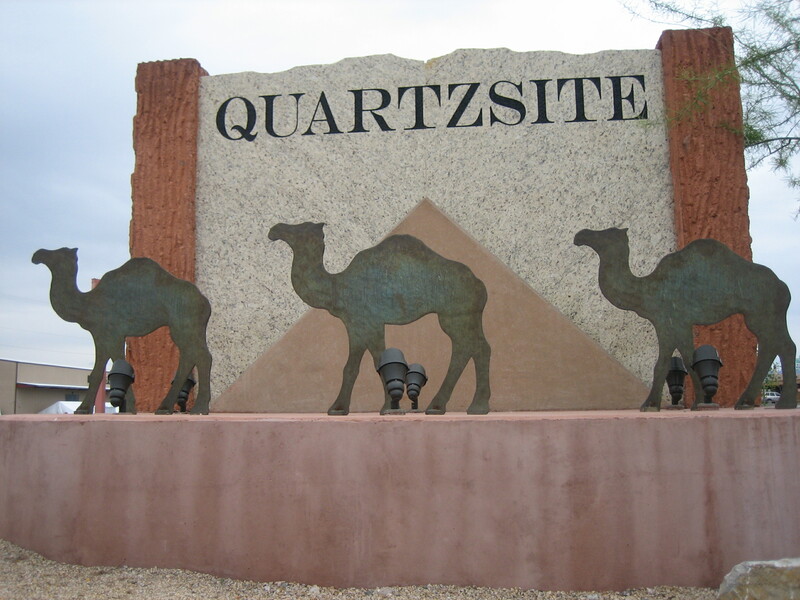 This post has gone longer than I expected, and I still have lots more to share, so I’ll give you the rest of my information about where to go for what you need in Quartzsite on Friday.